Padstow church is sited by a Christian cemetery of 850 to 950 date, and this may well be the date of the fine churchyard cross base which stands by the south churchyard entrance. By the 1000s, two saints, Petroc and Wethenoc, were associated with the church. 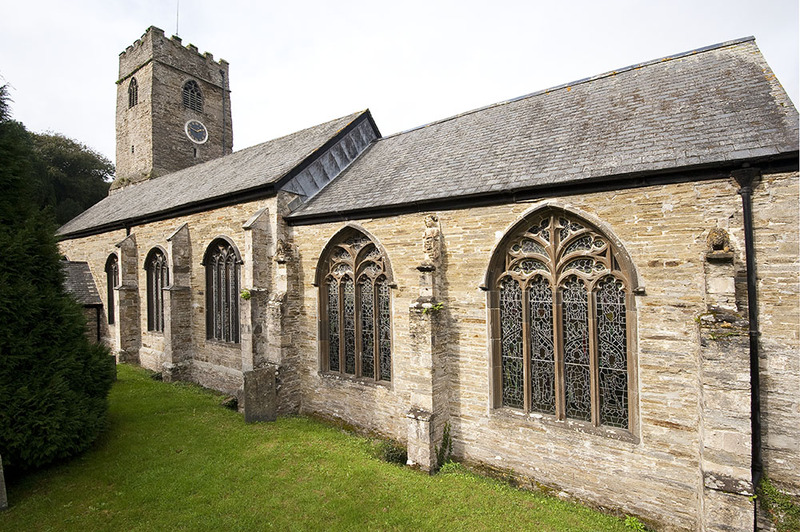 St Petroc may well have been Cornish by birth rather than Welsh as legend would have it. His bones were venerated here and the church was one of the most important in Cornwall and may have had monastic functions. 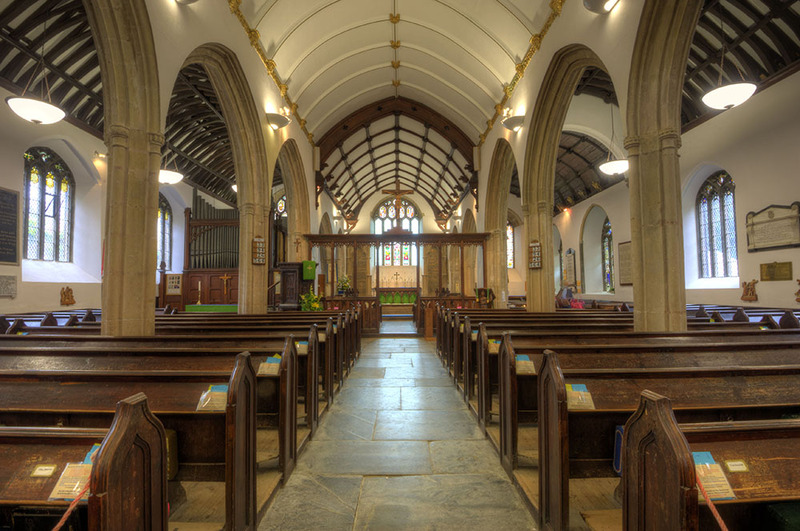 In c.981 the church and community were largely destroyed by the Vikings and Petroc’s bones transferred to Bodmin. 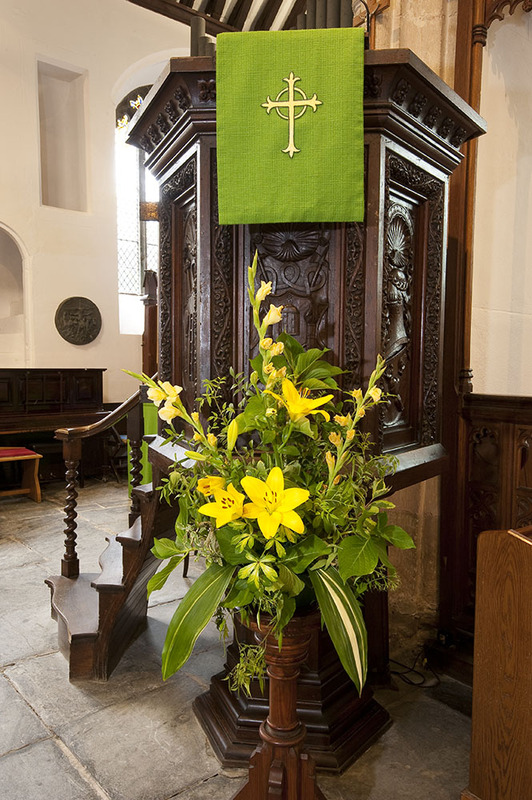 The present church fabric may go back to the twelfth century with the tower base being one of the earliest features. Most of the church dates from the fifteenth century, with the Lady Chapel, on the south side with its flamboyant Gothic windows, being built as the chantry chapel of Sir John Nanfan knight who died in about 1462. On the buttresses outside this chapel are some of the finest stone carvings in Cornwall. A young male figure (page) in a short tunic carries the arms of the Nanfan family a chevron in ermine with three pairs of wings. 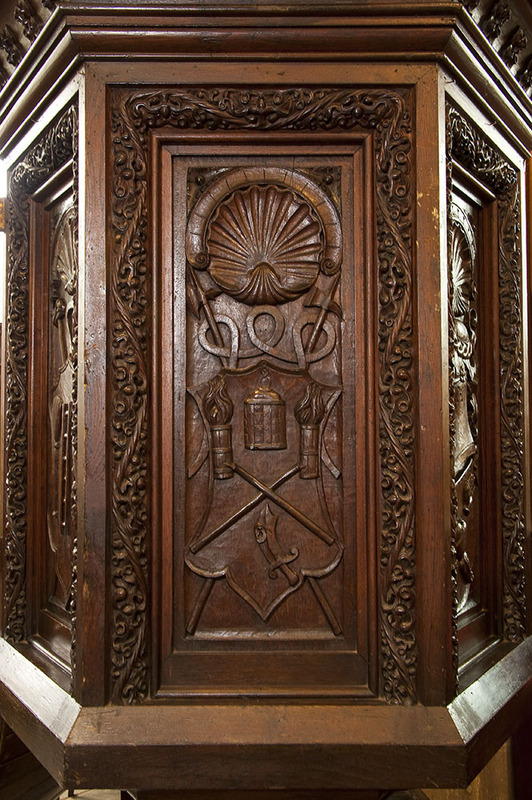 On each side of this are a headless lion and a chained hart or unicorn, which show that Nanfan was in royal service. This chapel originally had a solid stone screen. All three east end windows were replaced probably in the 1520s-40s. The nearest parallels for the carved panels of the inner arches are at Cury and Sithney where the Nanfans and their heirs once held lands. The exterior walls of Padstow church are mainly of grey Devonian siltstone, very like slate, with some granite capping on the buttresses. The roofing slate is Delabole slate. Extensive work on the gulleys and roof took place in 2008. Limestone for the nave columns possibly came from Beer in Devon. It was also used for a piscina or resited holy water stoup in the sanctuary, which depicts St Anthony and his pig. Two columns in the sanctuary are made of granite. The dark grey stone used in the windows and for the font was quarried locally at Cataclews point near Harlyn Bay. 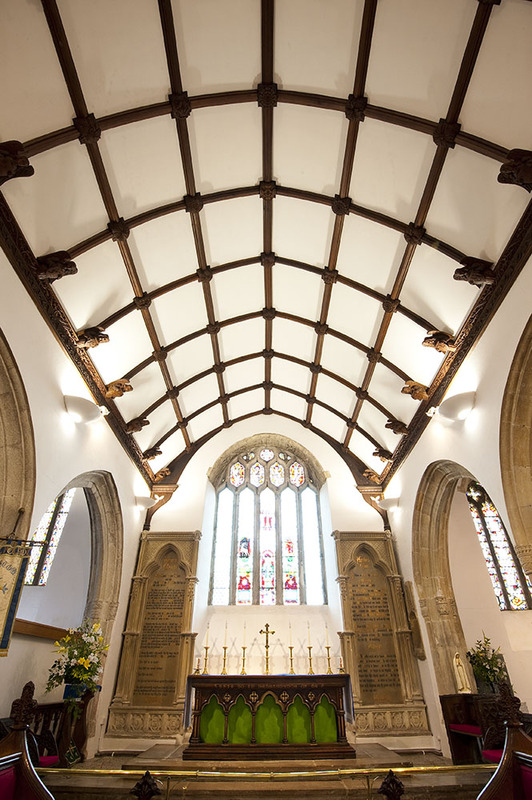 The nave has a ceiled waggon roof, and the north and south aisles open waggon roofs. 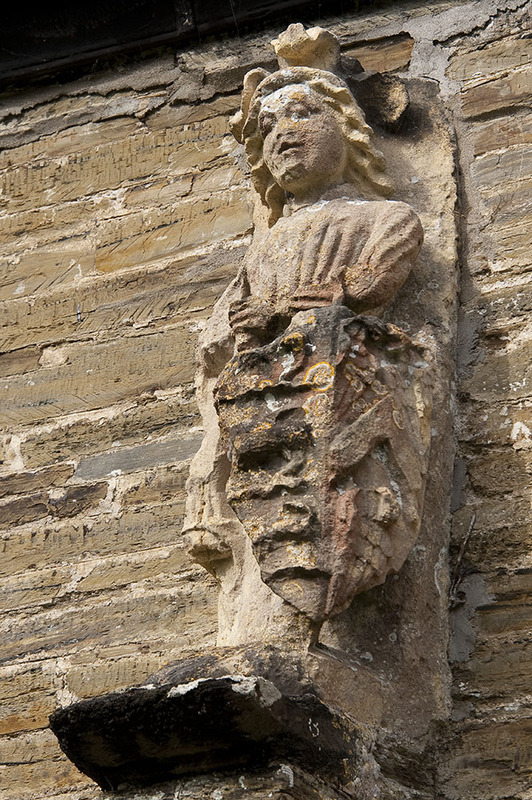 These and the Lady Chapel roof are original, but with plaster angels. The chancel roof had major work done on it in 1872 when the carved angels were placed there. 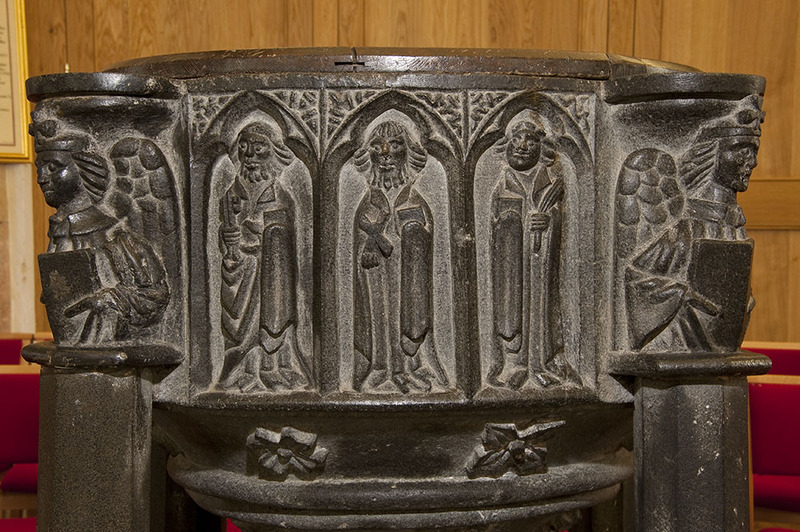 The late fifteenth century font is one of the treasures of the church and is said to be the work of the master of St Endellion. At each end of the bowl is an angel holding an open book and beautifully carved figures of the apostles appear on the sides. Identifiable by their emblems, St John is the only apostle who is clean shaven. 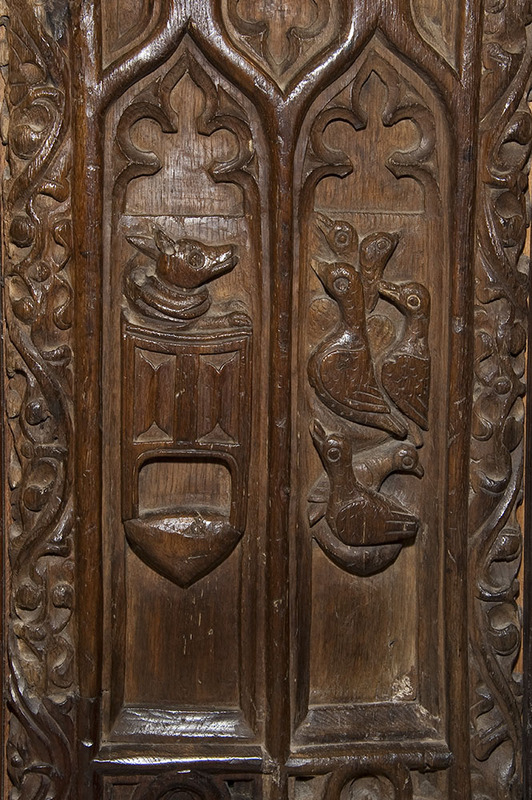 Other treasures are the pulpit and bench ends, including Reynard the fox preaching to the geese, of 1530s date. 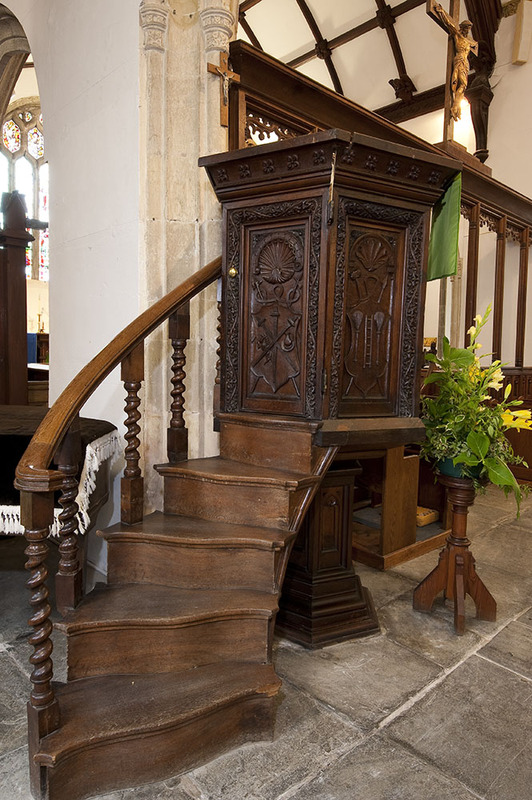 Jacobean stairs and a rail have been added to the pulpit but all but one of the six pulpit panels are original. 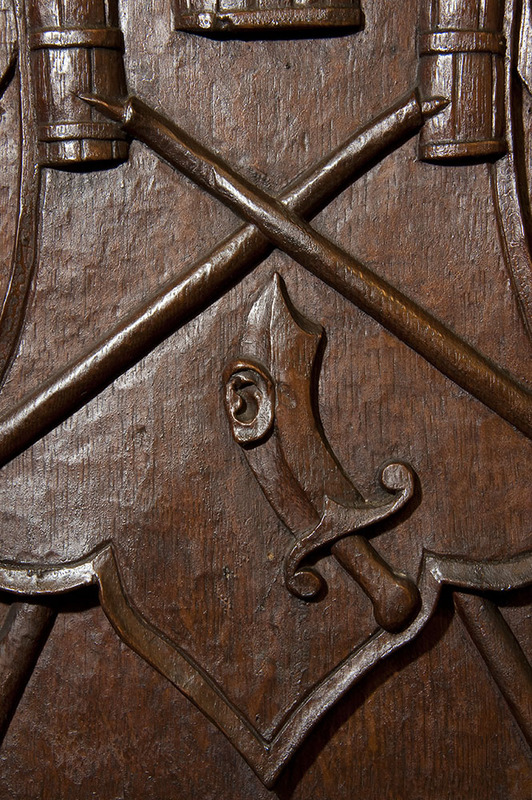 The carvings are of objects linked with the Lord’s Passion including the sword with ear of Malchus. Above each panel are scallop shells, the badge of pilgrims to Santiago in Spain. 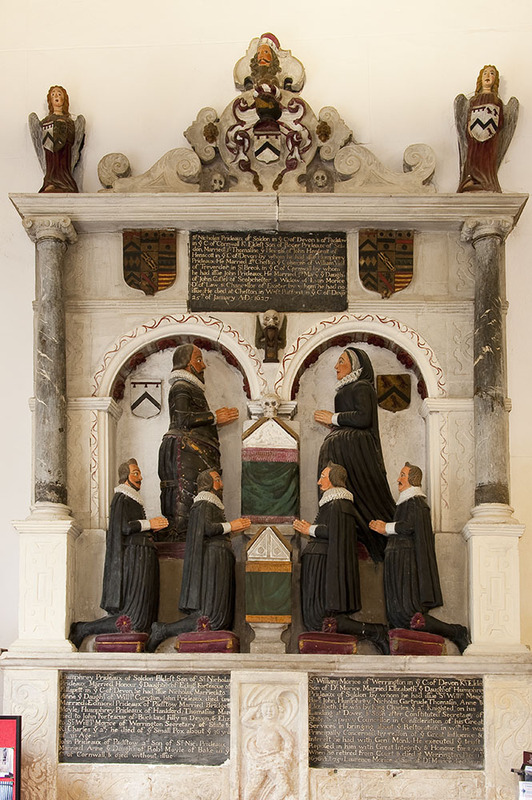 In the south west corner is an imposing memorial which commemorated Humphry Prideaux showing him, his wife and four sons all in Jacobean costumes. Near the top is an inserted memorial to Sir Nicholas Prideaux of Soldon in Devon, the builder of Prideaux Place. A major restoration of the interior of the church has taken place between 2008 and 2011. The west end of the church has been cleared of pews, and kitchen units and store cupboards have been placed in this area. A new vestry screen and ringing chamber have been created above the improved vestry. Old gravestones have been set in the floor. The whole area has been opened up to provide greater flexibility for church activities. Excellent modern lighting and a new gas fired heating system have been installed. The whole of the interior has been redecorated and lightened.